Bright quartz with partial chlorite phantom. Polished to stand. A thing of beauty. "Chlorite is one of the most favourable healing stones. 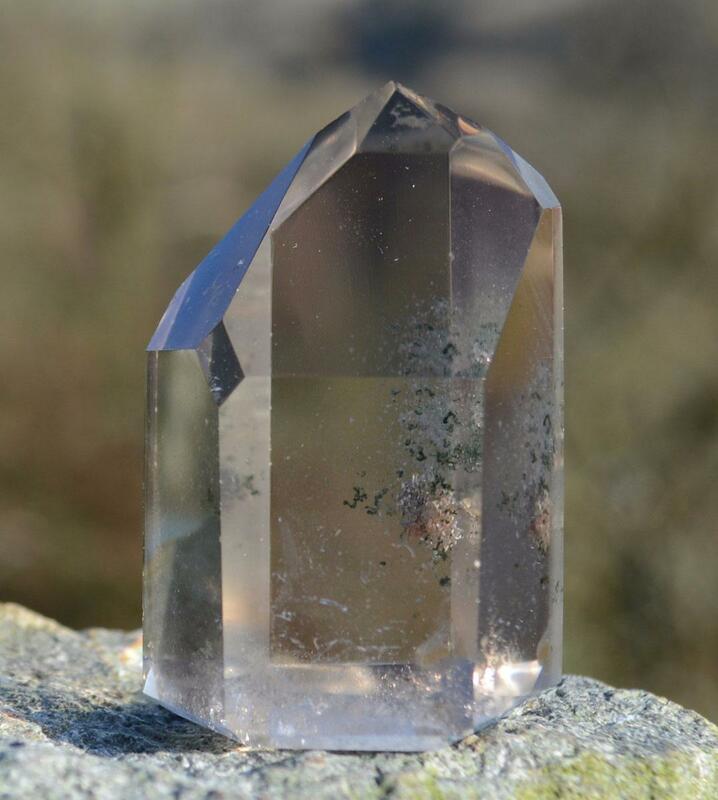 Worn, carried, placed within one's environment or used as an elixir, the properties of chlorite are overwhelmingly positive." 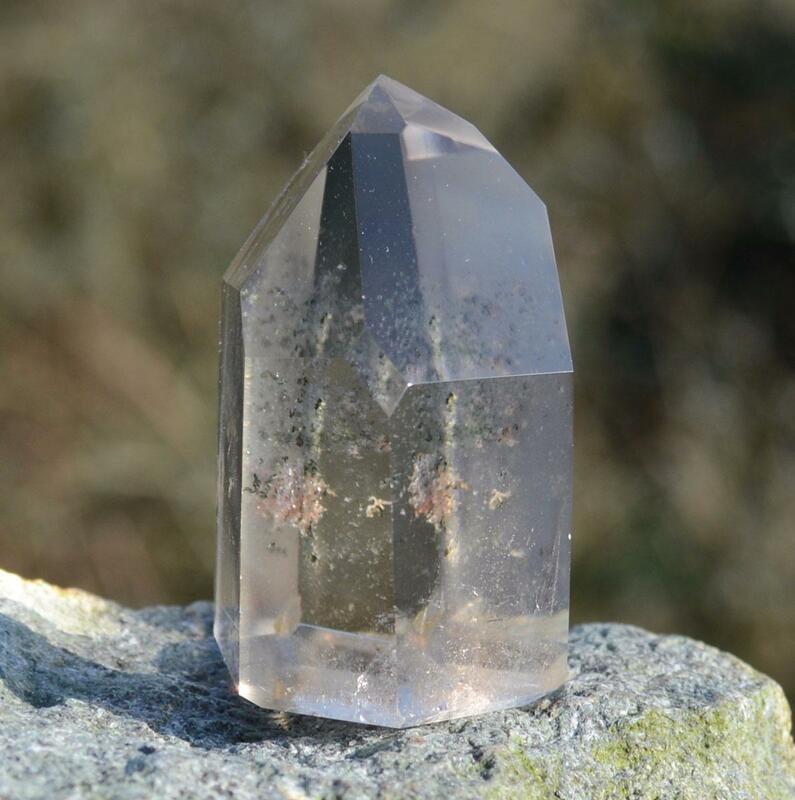 "Chlorite is a purifier and is quite useful for cleansing the aura, the chakras and the energy meridians. It attacks anger, hostility, exasperation and dissipates the dissenting energy." Melody, Love is in the Earth.